Fall is here and with it comes brand new office products. Our small office & workgroup multifunction devices and printers have made up nearly 60% of our total units sold this year. These A4 units can print on up to 8 1/2 x 14 (legal ) size paper. With Xerox’s new WorkCentre 6655 and WorkCentre 3655, you will not lose any functionality with these smaller units. The 6655 and 3655 come with Xerox’s ConnectKey controller. The same powerful controller as on our larger units. The WorkCentre 6655 is 36 pages per minute and prints in color and black & white. 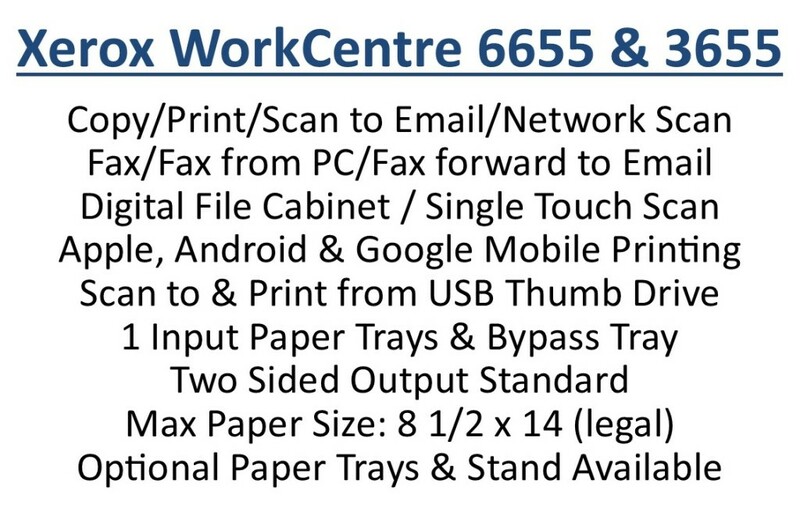 The WorkCentre 3655 is 47 pages per minute and prints in black & white. For more information on the WorkCentre 6655, click here. 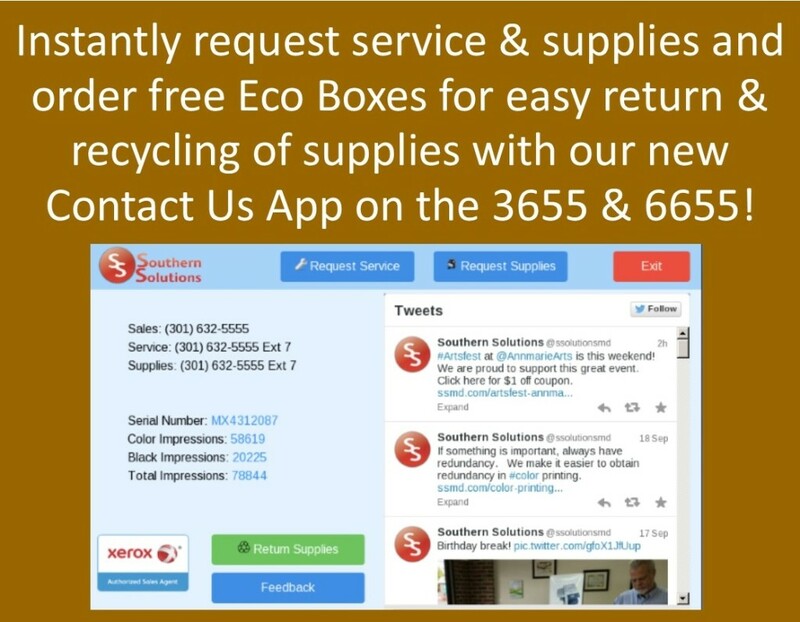 For more information on the WorkCentre 3655, click here. Contact us today for more information on these exciting & powerful new products.